Grilled chicken…a summer staple won’t you say? I just recently started eating chicken more often again, and grilling it is definitely my method of choice. As I was trying to pull together new ideas of serving it (because we all know plain old chicken breast can get a bit…hmmm, shall we say – redundant?) I figured I’d compile a nice list of recipes for you all here as well. 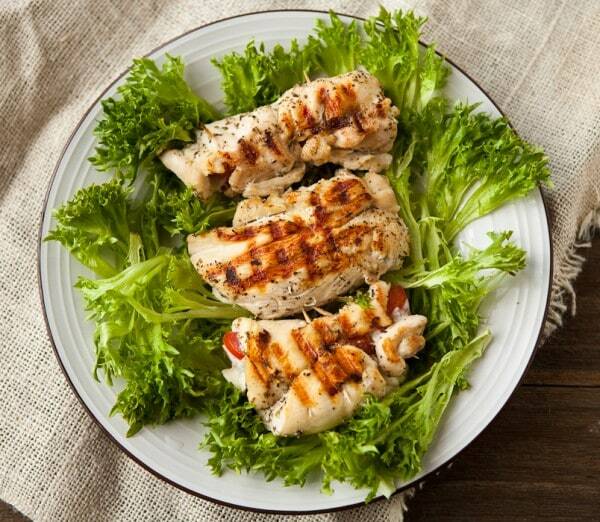 What I love about grilled chicken is that if you plan ahead and throw some extra on the grill, your leftovers can become a totally new meal, usually in the form of a salad or sandwich for me (in pasta would be good too!). Enjoy this round up of deliciousness, hope you find yourself a little inspired to add grilled chicken to your menu….and happy grilling! Are you firing up the grill this weekend? I haven’t done a grilled teryiaki in forever….it sounds so good with some grilled pineapple and red bell peppers! Enjoy your weekend Erica! I agree with you–I’m much more likely to eat grilled chicken than it being prepared any other way! Thanks for sharing my wrap recipe with your readers! Grilled is the way to go! 🙂 have a great weekend Katie! Nice!! What a fabulous round up Aggie, and thank you so much for including me girlfriend! I am so picky about chicken. Most of the time I don’t like it at all. But grilling almost always gives it a perfect flavor, char, and retains all the moisture. Definitely my method of choice! yep, me too. Chicken isn’t my favorite thing to eat, I don’t like to eat it often, but for the sake of ease and convenience (everyone in the fam likes) I am trying to make it more often for a good lean meal. Grilling is definitely my method of choice as well! The grill makes everything taste better! 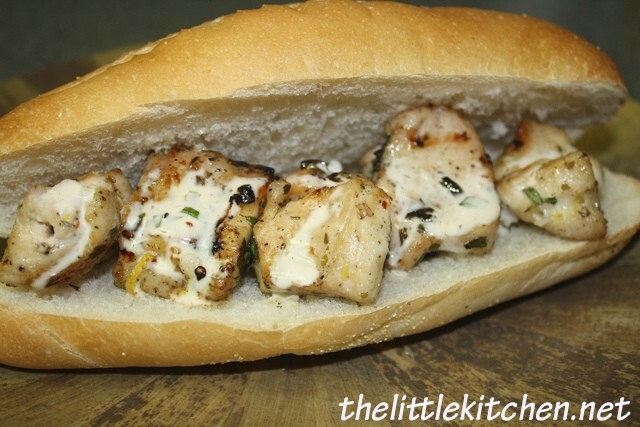 I am the same way- we always have a great big batch of grilled chicken at the ready for all kinds of meals! Thanks for the link! It’s nice to have some in the fridge on standby. Makes things nice and easy 🙂 You are welcome and have a great weekend! Yes! We eat so much grilled chicken in the summer. These are fabulous ideas! Thank you! hopefully you’ll find some new ones to try. Have a great weekend! I am all about the grill right now. It’s like an outdoor kitchen, makes things so much easier. I’m planning on grilling some salmon tonight for a salad, mmmmm. Have a great weekend! I have to Pin this for sure. I grill chicken so frequently through the summer and always make more than enough so I can have it for lunch the next day in a salad. Thank you for compiling such a fantastic list! Grilled chicken is so great for summer and what a great roundup! Thanks for including mine! It really is so easy for summer. So many options! It’s always nice to have options for chicken : ) Great RU Aggie! Oh yeah, and weather…it’s been so rainy and dreary here this past week or so. Then I remembered it seems every June we have quite a bit of dreary weather before it just becomes the regular afternoon thunderstorms. I couldn’t live somewhere without the sun. This looks amazing! We love chicken here and I can’t wait to try this. Great listing of other options, Aggie! Thanks so much for including my salad. Mmmmm…this roundup makes me SO hungry! 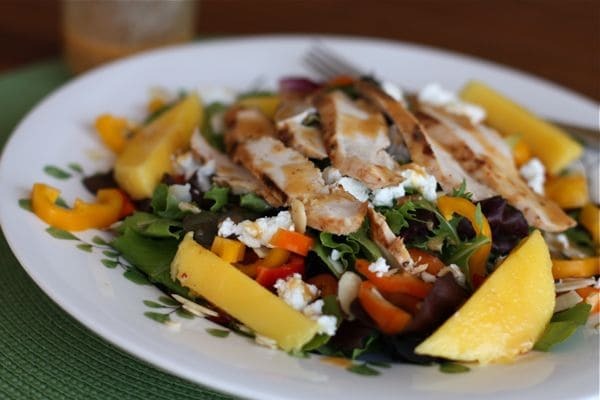 Especially love your grilled chicken salad with mango. Looks delish!